To live in a small town with all of its whispers, histories and vagaries means to distill the human experiences into a microcosm in which movement, speed and the heft of social engagement opposes the rules of the larger city experience. Small towns observe time and people differently. To cross the reasonably-sized small town is a matter of minutes as opposed to a “commute” in which time is swallowed by taxis, buses and metro connections. And to walk the streets, public spaces, community halls in the small town is less of an exhausting athletic feat than found in its urban counterpart where pigeons, people, and poo become the obstacles from which we retreat or hurdle. The goal posts of the small town, depending on the country in which you live stretch the ends of Main street with shop fronts and welcome signs and also the town’s community centers, churches, and perhaps slightly adjacent to these, the football pitches and shopping malls. Main street includes, if followed at length, an exit to a highway or the autobahn. The community center and church are the gathering points in which social conditioning and inclusion or exclusion become modes of continuity for the community. The small town is generally a place in which strangers stop for gas or coffee on their way to larger city. In America, quaint if evaporating antique shops and diners offer a restful moment in which the city dweller indulges in post card-like reminiscing about how quiet and “easy” things are in such a place. 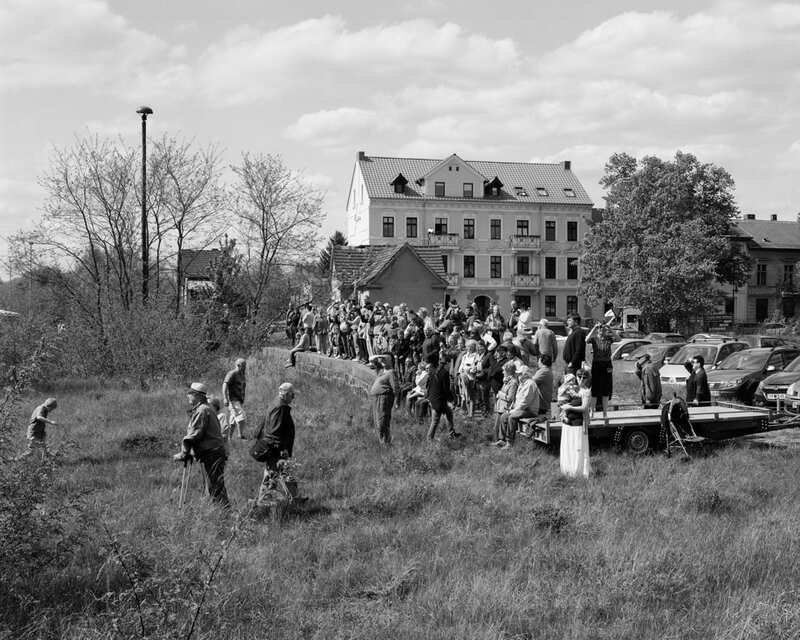 In Europe, the small town has its history in a much longer timescale from its feudal village beginnings to its satellite position in which industry or farming were the key mechanisms in which it could pull an economy from. This of course is changing and the effects of hundreds of years of annual harvests or annual reports are now moving closer to the edge of history’s dustbin as automation and overseas jobs take over creating a vacuum of sustainability, creating an atmosphere in which stagnant and listless considerations of life and purpose are abound. For the small towner, the quaint is commonplace and doesn’t add heavily to the sentimental. There are less punctuating events occuring than in the larger city, less delays, less obstructions and life goes about the business of life. Children grow into adults, local diners stay open for decades and people are inclined towards a favorite pub or beer garden. What makes the quotidian special in the 21st Century is not its polite behavior or “simple” status, but rather its participation in a fluctuating economy on a global scale. With the rise of corporatism and the significant drain of local business replaced with Amazon and Internet delivery, we find the small town in flux. Those who stay behind in the small town, instead of leaving for urban centers are the village keep. As the global economy dictates movement and separates families and their ability to work, what forms is a landscape in which faint calls from the past re-visit the town centers. We see ghostly forms in the empty shop front windows-the silhouette of a chair behind dusty glass and the odd leftover box open and waiting to be filled and moved from behind its plate glass prison. Then there are the façades of unfinished and unsold concrete structures which collect tepid rain water and bank notices, grow grass between the foundation cracks and are left incomplete and create a haven for spray paint and teenage smokers. These spaces are the new town gazebo. “With the rise of corporatism and the significant drain of local business for that such as amazon and Internet delivery, we find the small town in flux. Those who stay behind in the small town, instead of leaving for urban centers are the village keep”. Ute and Werner Mahler’s Kleinstadt is much less depressing than the general discussion that we can have about the future and plight of small towns. 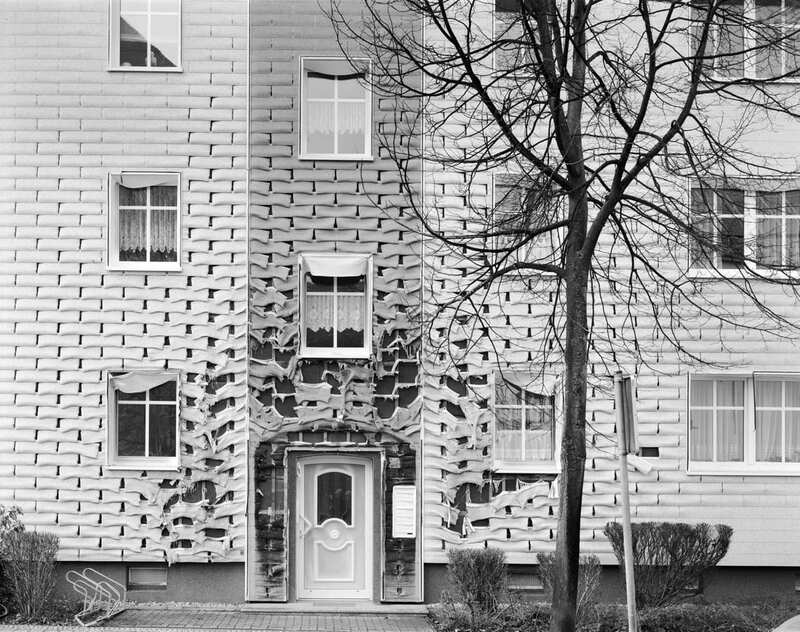 Instead Kleinstadt is adversely outfitted with tender moments and a considered use of the rural small town landscape. Relative to its physical proportion, the book is oversized and gives an extra dimensional weight to the images inside in effect giving the status of the images a sort of reverence. 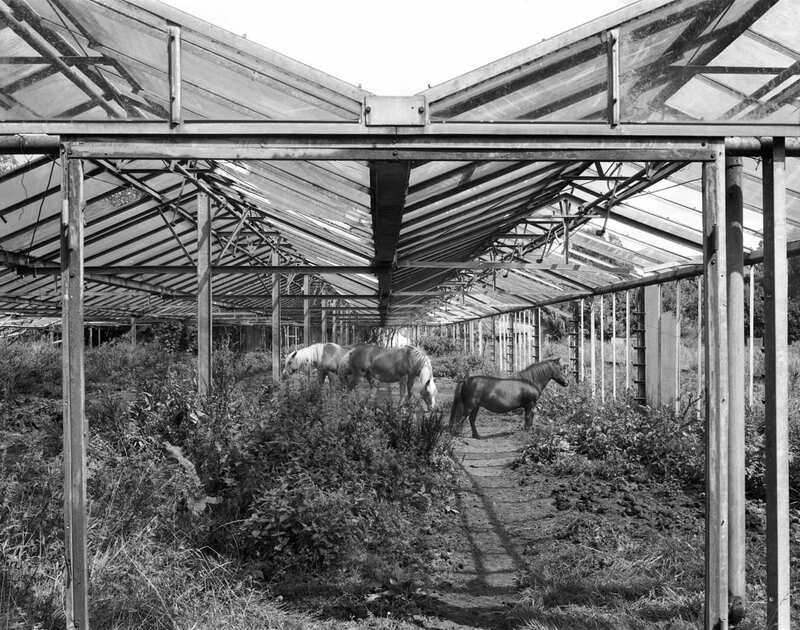 The portraits are tender indeed and are edited and leveraged between images of the overgrowth of flora-locked between homes-empty spaces where people and their pre-war homes should still be. 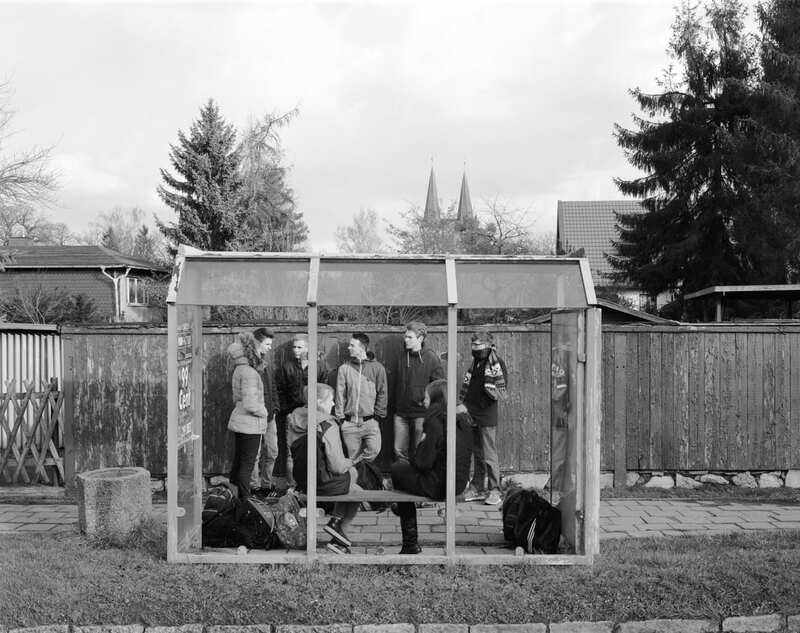 The book is a reflection of youth, but also of the future of a small German town where the weight of the oncoming years hangs overhead, muted in a grey damp palette of monochrome institution. The beautiful idea is that when the infrastructure is tilting towards collapse, the residents will have to hold each other for support. Without the use of portraits in the work, it would be a much heavier affair. 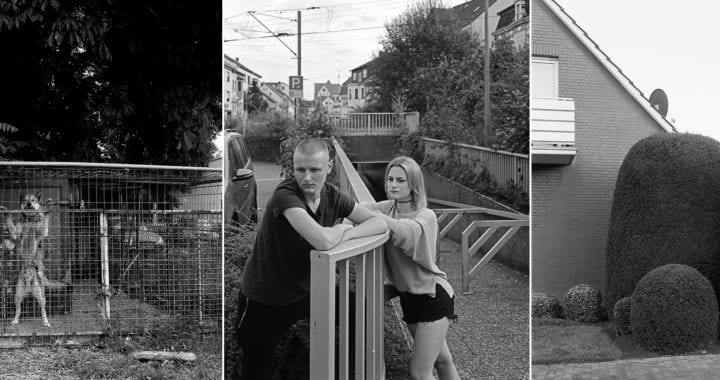 At times, I am reminded of Mark Steinmetz work and Michael Schmidt’s Irgendwo in particular and am reminded of a lyric by an English band Pitchshifter reminding me that “This town could be anywhere” and yet with sympathy, the Mahler’s have designated that this town could be anywhere, but that the people within deserve to be more than Anyone. In its totality, the book as an object itself is one of the more beautiful that I have come across in the past few years. Editing is paced well and the design is efficient-the covers and the choice of yellow text on grey boards is a surprisingly adept feature. I don’t usually dwell on design in photography books and I usually find myself adverse to larger formats, but all in this is incredibly successful. I did not see the first edition of this in 2018 when it launched, but wish I had as it certainly made a large impact on me when I received the new edition. It is in line with the tradition of post-war German humanist photography, which means that there is an undeniable coldness to confronting the future and the past at the same time. 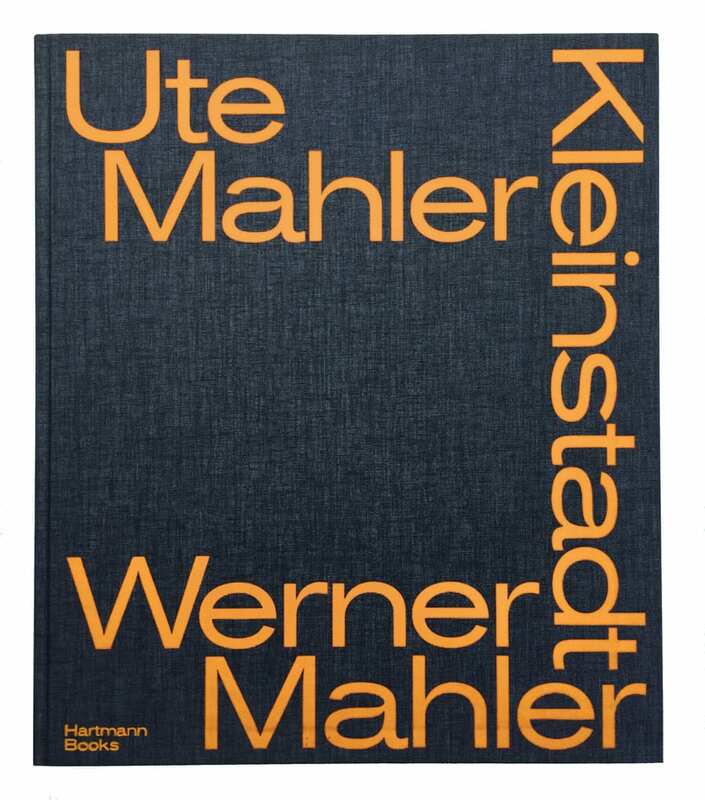 The formal attributes of the work and its execution by the publishers with the Mahler’s create a serious study for the time we exist, if not live in. HIGHLY RECOMMENDED. 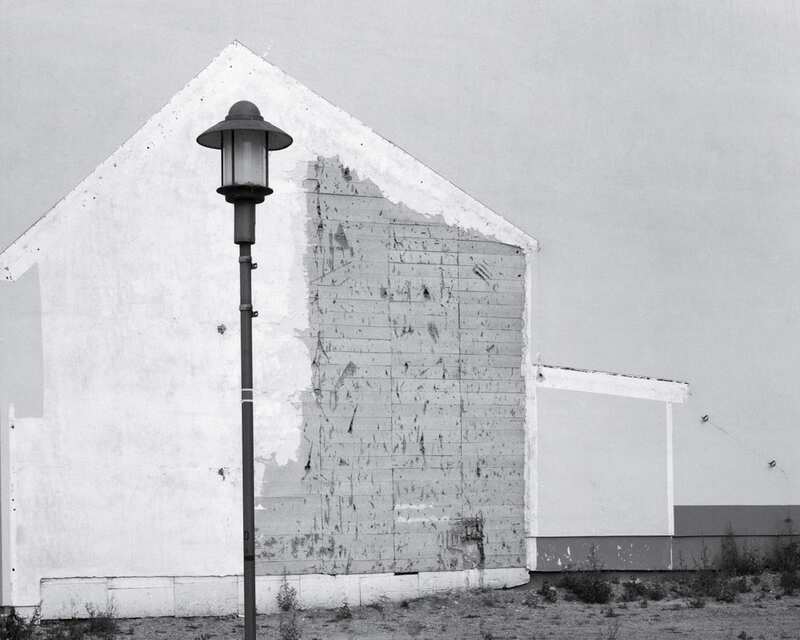 Posted in Feature, Other, Reviews and tagged Brad Feuerhelm, corporatism, german photography, Germany, Hartmann Books, Hartmann projects, Kleinstadt, Mark Steinmetz, Michael Schmidt, New Rurality, small town life, Ute and Werner Mahler.